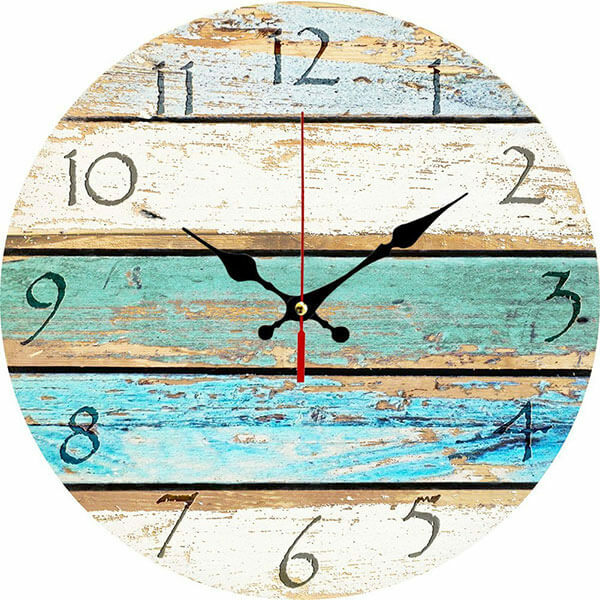 Ideal for any coastal home, the Grazing Rustic Wooden Wall Clock is a rustic clock that features the appearance of paint chipping away from a wooden wall. It has an ultra quiet Sangtai 6168s Scanning Quartz Movement that keeps the time with total accuracy and dependability. It measues 5 millimeters thick. Shows date, time (12/24hrs) and temperature (°C/ °F). Dual power supply mode: It can be plugged in via USB or powered by 4 AAA batteries (not included). 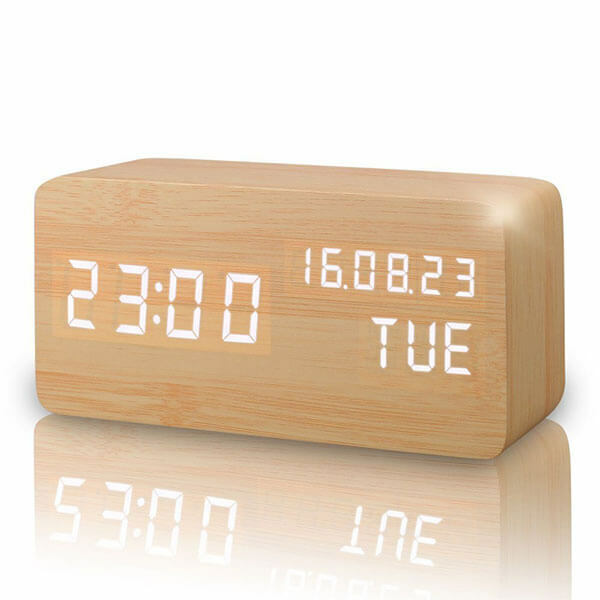 With its wooden composition and its modern design, the Wooden LED Digital Alarm Clock offers a perfect blend of old and new. This clock shows the date, day, time and temperature. There are three types of alarm settings as well as adjustable brightness. Charge it via USB or use four AAA batteries. Easy assembly – even kids can do it! Dimensions: 250mm x 200mm x 50mm. 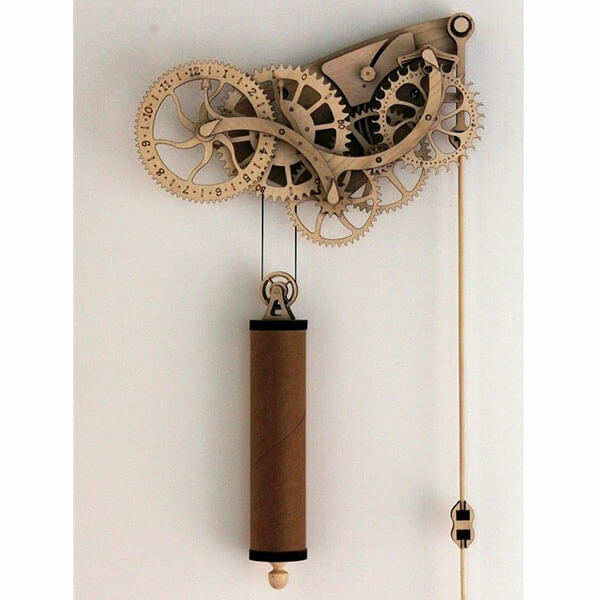 Ideal for lovers of the steampunk aesthetic, the Abong Handcrafted Mechanical Wooden Pendulum Clock Kit is a simple to assemble clock that tells time in a totally unique way. This wooden clock features “cogs” and “gears” that tell the time, as well as a weight to keep everything running as it should. 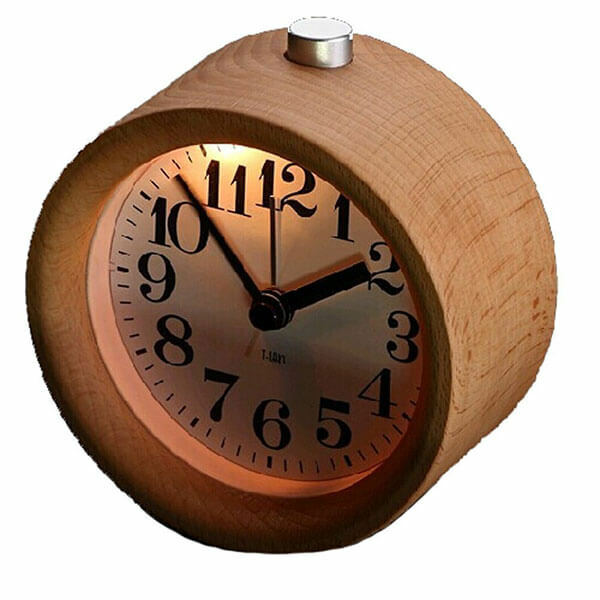 The circular, wooden Glomarts Round Wooden Silent Desk Alarm Clock is a warm and inviting, functional piece of decor. Silent, this clock does not tick away the time and causes no disruption while you sleep. It is made from natural wood material for a unique and unfinished appearance. Made to look like an old roulette board at a retro casino, the NALAKUVARA Retro Wooden Wall Clock is ideal for any garage or work space. 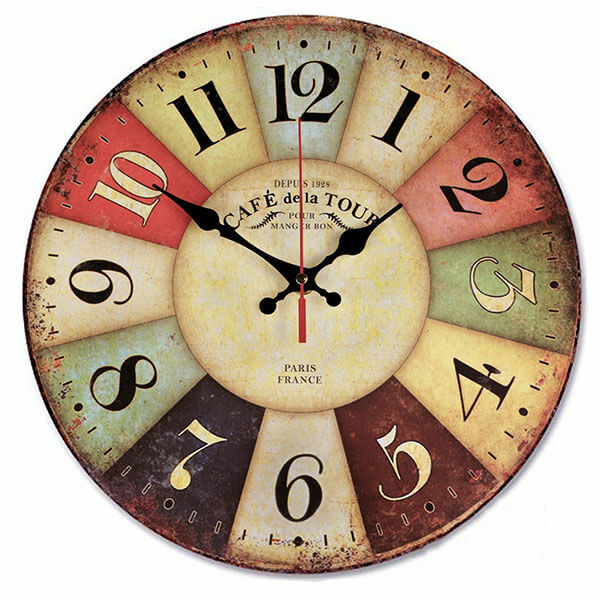 It features Arabic numerals listed out as if they were choices on a spin board with black spade hands indicating the time on this colorful clock. 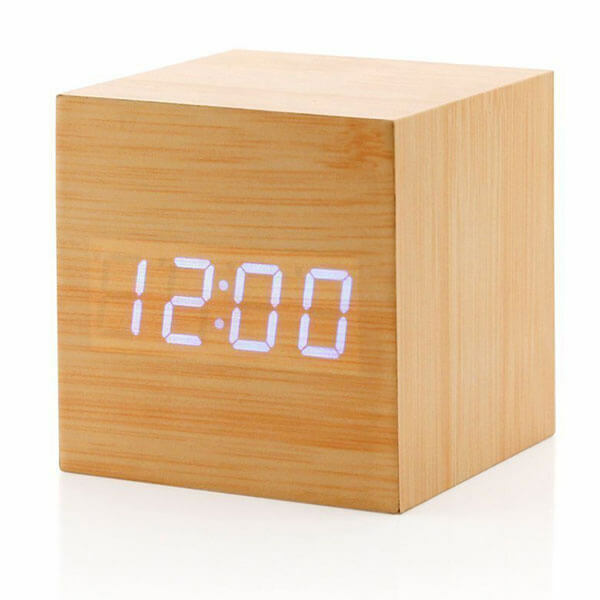 The Wooden Cube Digital Alarm Clock is a blend of modern and traditional with its unique wooden design and its digital time telling. It comes with three alarm settings, and the display reads date and time as well as the temperature. You can knock on the wood, clap or speak to it to get it to display the time.